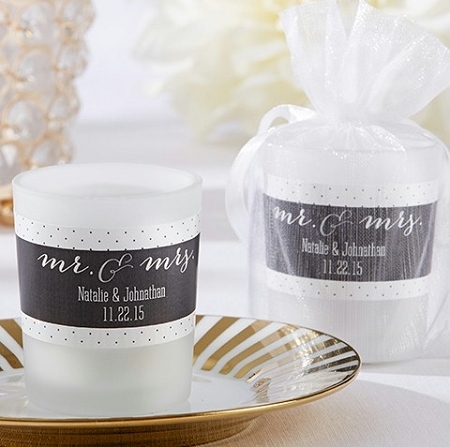 Home > Wedding Favors > Candle Wedding Favors > Personalized Frosted Glass Votive - Mr. & Mrs.
Add a pop of playfulness to your wedding or engagement party with these Mr. & Mrs. votive glasses by Kate Aspen! 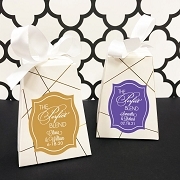 These party favors have a black-and-white polka-dotted design that is sure to stand out wherever they go. 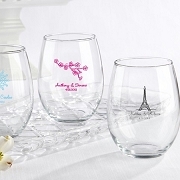 Use the personalization options to customize them For your special day! 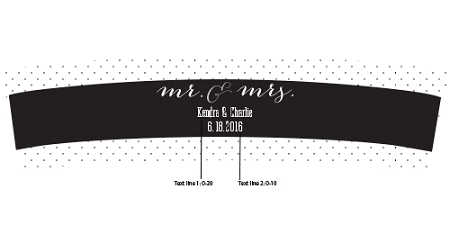 Recently ordered these for upcoming wedding as favors. Very quick to put together and look very nice. 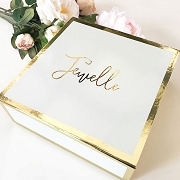 I think the quality is very good and I'd recommend these for sure if you'd like a small, classy favor for a wedding.